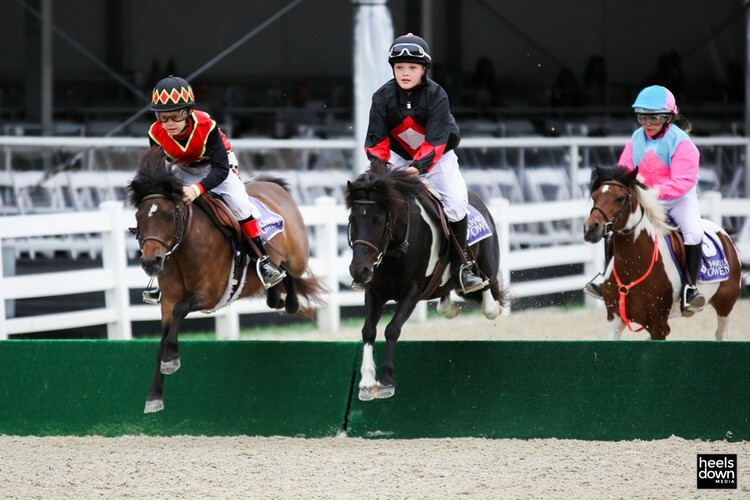 A fan favourite, the Washington International Horse Show’s Shetland Pony Steeplechase Championship Series, presented by Charles Owen, was held yesterday afternoon at the Devon Horse Show. The series, now in its fifth year but its fourth appearance at Devon, features junior jockeys racing cute, fluffy Shetland Ponies. 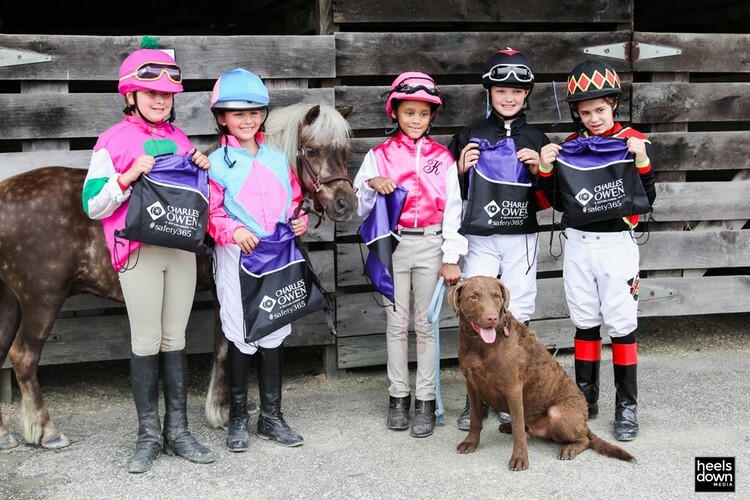 Abby Centanio, Mariah Smith, Quick McGraw (pony), KiMani Davenport, Patrick Gallagher and Lawrence Fowler. After the race, we met the riders and Regina Welsh, the director of US Pony Racing, who explained the program and the preparation required for this competition. 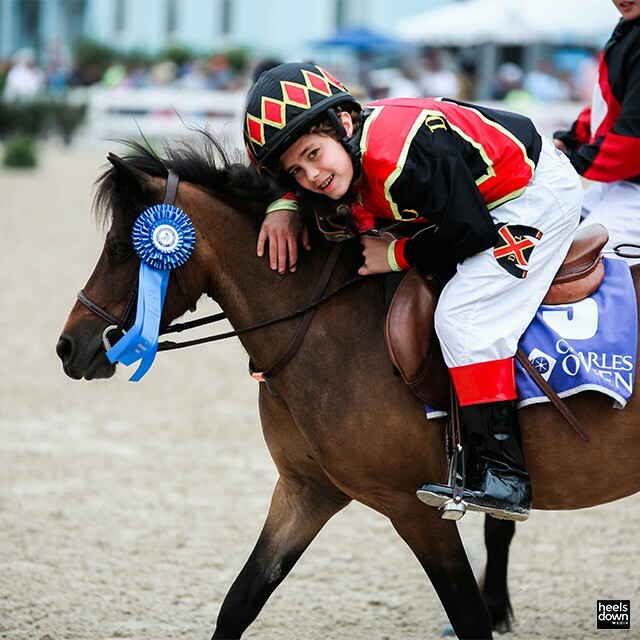 “The riders all lease their ponies, they don’t own them. Because the riders only stay this size for so long and the ponies stay little forever, this is really a fun time for them to take advantage of their size. The Shetland Pony is a great breed. These foundation type Shetlands are registered with the Shetland Pony Society of North America. The pony races are just a fun thing. We started it at Washington International and this is our fifth year in the series and our fourth year at Devon. You’ll see us later at Washington in October. 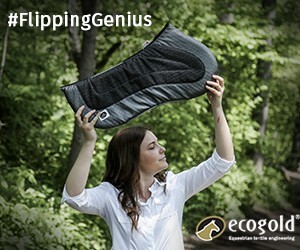 We usually have a pre-qualifier a couple of weeks before that at Prince George’s Equestrian Centre. And not part of the series but you’ll also see these guys in a jumping race at the Maryland State Fair and in flat races for Shetland ponies. It’s been really fun working with these guys. We try to really have them concentrate on the jumping aspect of it, not the speed aspect. Where do we save the speed for, guys? 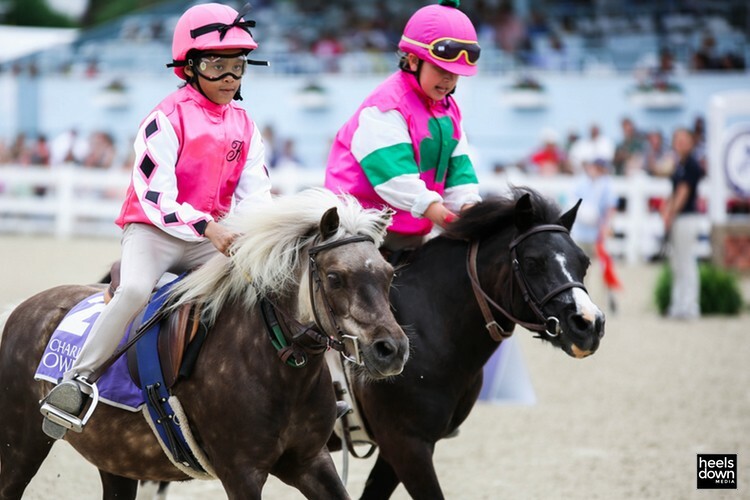 What did the riders think of the Shetland Pony Race?